(Watty "Wild Card" Winner 2018) In the heart of Edinburgh, there lies a tea house that has been in business for over 100 years, despite the sign on the door always proclaiming it closed. It provides a haven for a specific type of traveler: one who journeys, not from place to place, but through time. 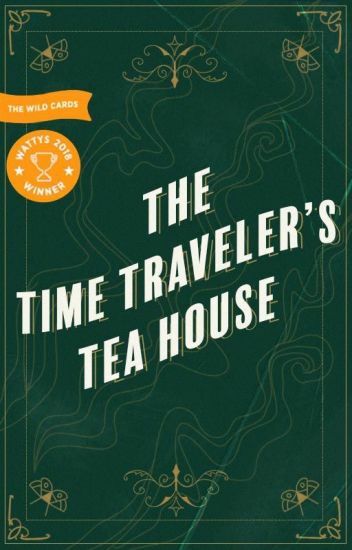 This book is a collection of the fantastic and strange tales they share with one another in the Time Traveler's Tea House. Cora Emerson is a magical misfortune who just can't get the hang of being a wicked sorceress. Being wicked would be easy if she couldn't help being good instead. But her eighteenth birthday is fast approaching, and if she can't ruin one person's life by then, she'll lose her powers for good, bringing dishonor to her family's name. Just when she thinks she's found the perfect victim, naive and unassuming, the unthinkable happens. She falls for him. Love and magic would be simple if the person whose life she's meant to ruin wasn't her boyfriend. As Cora would say, "For the love of Jupiter." Time traveling spies from the 80s, a Nazi scientist, and doughnuts? This ought to be interesting. Since the first time machine was created, an elite organization of spies have been tasked with a challenge like no other: to go back and time and save people of historical or scientific interest. Together these agents formed the Inter-Timensional Retrieval Force (IRF). FORLORN NIGHTS OF SPRING is a collection of poetry. © 2017-2018 ally maková, all rights reserved. The sequel to "How To Steal a Scientist." What do you get when you mix time-traveling spies, Canadian mobsters, and a mentally unstable mathematician with a chip on his shoulder? I suppose you'll just have to read to find out! When you're a Superhero, you're not supposed to team up with the bad guy. Oh well, I suppose rules were made to be broken. [Wattys Short-List] In a world where all pregnancies must be approved before conception, the lives of those "unapproved" children is a difficult one. Invalid Delaney Shepherd's life is changed forever when her and her brother's caretaker dies suddenly. Alone, and unwanted in society the Shepherd twins now have to overcome adversity and try to survive in a place they are not welcome.